These riding breeches look more like ski pants than the romantic equestrian jodhpurs of my day. 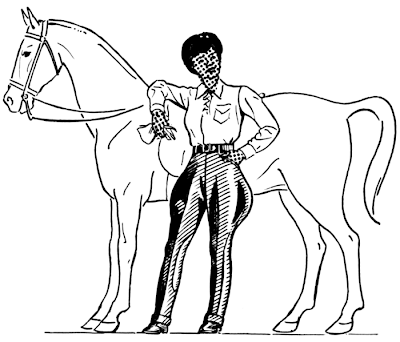 Out of desperation, I searched for and found a pattern for jodhpurs, however, they don't appear to have the voluminous silhouette of yore. If you live as long as I have, you will experience many changes in your personal landscape. Some changes will delight you and you embrace them; some you'll just have to roll with; but some changes just aren't right and you are compelled to dig your heels in and refuse to bow to them. Now take jodhpurs (if you can find them!). When I was young, I had English riding lessons at Fort Benning, Georgia. It was rumored that my riding master, a retired U.S. Army man, had played on General Patton's polo team. 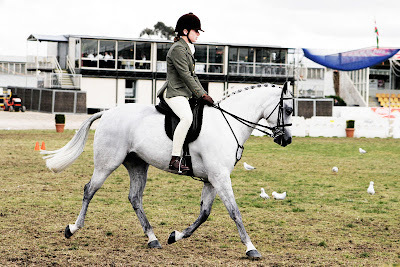 In any event, he required that proper riding attire be worn to each lesson: the knee high leather riding boots; the black velvet riding helmet; a correct shirt and finally, the jodhpurs. Jodhpurs, those wildly romantic breeches that officers of the cavalry wore; the ones amorous Argentinian polo players sported; not today's skin-tight pants that make you look like a skier. Rather the ones with the generous volumes of fabric around the thighs and the little button-on elastic stirrup that fits under each foot, inside the knee-high, black leather English riding boots. After years of not having been near a horse, I decided to take up riding again. So Tall Husband and I found a store that sold English tack and apparel, not an easy place to find in Texas. When I was shown the selection of "jodhpurs" that looked more like leggings, I asked to be shown "the real riding pants." The clerk looked puzzled when I described them and asked, "Where have you been lady?" When it finally sank in that there were no real jodhpurs to be had; that the romance had gone out of riding, I was devastated. What else in the world had changed that I had not noticed? "This is just not right," I declared to Tall Husband and we went in search of romance. We located a shop that specialized in reproduction of the look of yesteryear. I described the breeches to the young manager and drew her a sketch. She was excited about them, promising to see what she could do. 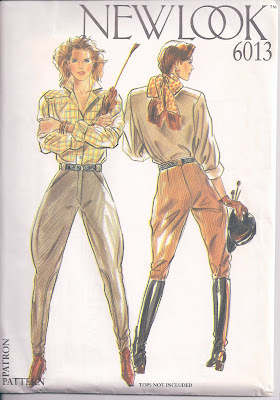 It took a season, but her company came up with a reasonable facsimile of the jodhpurs. She called me to give me the news and I immediately went to her shop and bought a pair. Yes, one pair because that's all they had left. She said the minute they went on display, they sold out. I was so happy to hear that there were women with a sense of adventure and romance left in the world. One pair would do just fine!